The event is aimed at equipping farmers with the knowledge and practical skills to build an integrated and productive agroforestry scheme as part of their farm business. The workshop will be hosted on-site at The Allerton Project in Leicestershire. The Allerton Project has been researching the effects of different farming methods on wildlife and the environment, and sharing the results of the research through educational activities for over 25 years. UK arable and livestock farmers with experience of agroforestry will talk about their individual journeys of creating and managing an agroforestry scheme on their farm. These sessions will focus on the benefits they have received from trees on their farms as well as the challenges along the way and how they have overcome them. 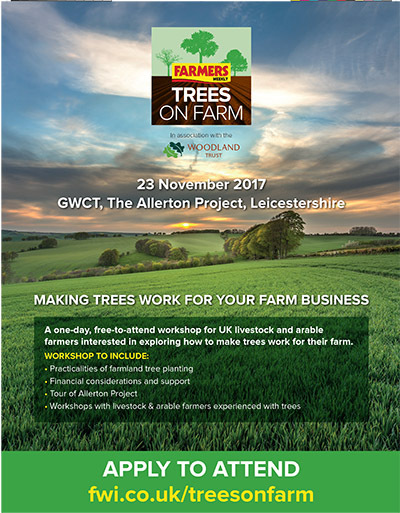 There will also be a wealth of knowledge and experience provided with Jo Smith from ORC and speakers from The Allerton Project, Woodland Trust and the Forestry Commission. The live event will focus on providing farmers with the information and tools needed to begin and manage a successful, productive agroforestry scheme as part of their farming enterprise. The topics will below will be covered and much more.